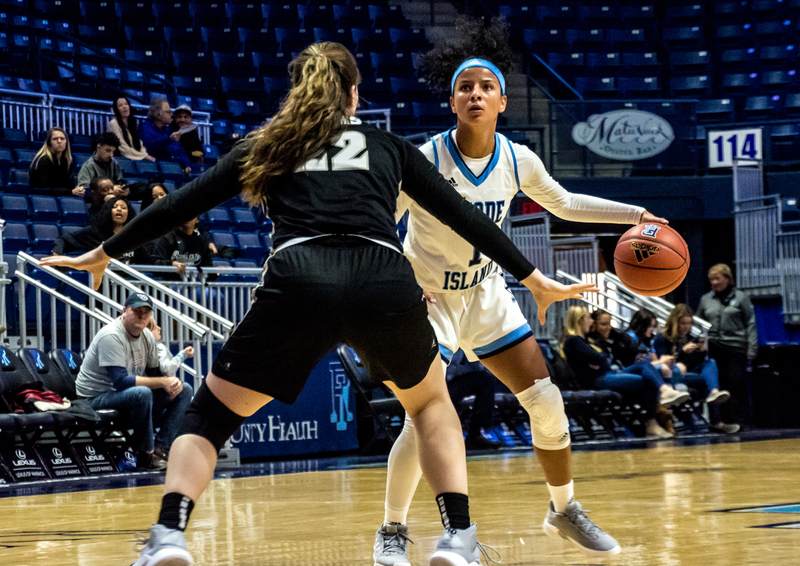 The University of Rhode Island Women’s basketball team was crowned champions of the Ocean State Tip-Off Tournament this past Sunday, an event they hadn’t won a game in for the past two years. The tournament was held at the Ryan Center last weekend and was a four-team battle featuring all schools from the state of Rhode Island. 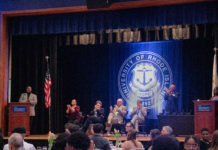 The participants were URI, the Providence Friars, the Bryant Bulldogs and the two-time defending champion the Brown Bears. Rhody’s first game was played on Saturday against the Friars. The bitter rivals traded blows in the first quarter, with the Rams holding a four-point advantage after the first frame. They created the needed separation in the second quarter, as they outscored their opponents 18-11. URI led by as many as 16 during the first half before heading into the locker room up 41-30. Providence did not cave at the deficit, continuing to chip away at the lead. The closest they got was four points, a margin they were staring at with 1:11 remaining on the game clock. The Rams were able to hold on to win 72-65. Forward Davida Dale led URI as she filled the box score for the Rams. She had a team-high 18 points to go along with eight rebounds, six assists and six steals. Dale, who leads the conference in steals with three per game, was named Atlantic 10 Player of the Week for the first time in her career. The team moved onto the championship game where they faced off against Brown University. Just like the day before, a dominant second quarter propelled the Rams to victory. They won the quarter 22-8, a moment of separation the Bears couldn’t overcome. The final score was 72-67 in favor of Rhody. Career days from Nicole Jorgensen and Abby Streeter propelled URI to the win as well. Jorgensen, a sophomore center, dominated inside, scoring a season-best 21 points while adding on 10 rebounds. It was her second double-double of the season. Her performance throughout the weekend placed her a spot on the All-Tournament Team.